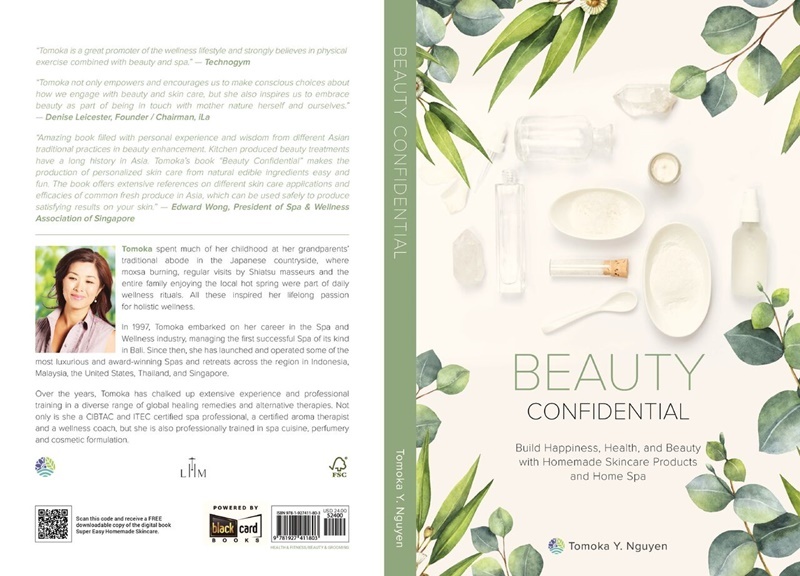 Singapore-based Spa & Wellness veteran, Ms. Tomoka Y. Nguyen has launched her first book, Beauty Confidential. She is a certified Aromatherapist, CIBTAC certified Spa & Wellness veteran with over 20 years of experience, the Japanese native is on a mission to empower both women and men with the knowledge to care for their skin, the largest organ of the human body. Tomoka was most recently Director of Spa at ESPA, Resorts World Sentosa Singapore and The Peninsula Bangkok. She currently works as a consultant for leading hospitality brands aside from building her line of chemical-free personal care products, JOJOMOKA Homemade Skincare. Beauty Confidential is a result of over five years of extensive research into the topic, it provides a peak behind the scenes of today’s beauty industry, touching on what big businesses won’t tell you about personal care products, while suggesting a number of simple, easy to implement remedies that lead to a healthier, more wholesome and beautiful life. The mother of two girls, aged 10 and 11, has been formulating her own products for over seven years. “The goal is to look your best at any age,” she adds. 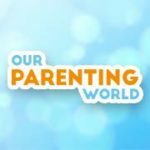 Our Parenting World – OPW Media Team is pleased to interview Ms. Tomoka Y. Nguyen, author of Beauty Confidential to find out more. More about Ms. Tomoka Y. Nguyen, she spent much of her childhood at her grandparents’ traditional Japanese abode, one that was set within a countryside where moxa burning, the regular presence of visiting Shiatsu masseurs and the entire family enjoying the local hot spring that were all part of daily wellness rituals. Growing up, Tomoka often witnessed her grandmother cooking beauty products in her kitchen, an activity that stands out as a precursor to Tomoka’s believe and enjoyment in all things beautiful and organically-created from the comfort of one’s home. Tomoka’s first move within the Spa and Wellness industry came as a manager of the very first successful Spa of its kind in Bali, Indonesia, taking place in 1997. She has since been recruited to open and manage some of the most luxurious and award-winning spas and wellness centres in the region. Her extensive experiences and professional training on global healing remedies from Ayurveda, Aromatherapy, Herbalism, and other alternative therapies have led Tomoka to craft and possess a unique blend of diversity in knowledge and expert preparation. Not to mention that she is certified in Professional Perfumery, Spa Cuisine and General Massage. Her approach to beauty is sustainable and holistic, spurring her commitment to change the way we see and approach beauty, shifting away from the view that beauty is a result of the large and profitable industry’s influence towards a simple, affordable yet powerful and effective way to a long-term health, inner contentment and wholesome serenity. 1. In a nutshell, could you briefly summarise what your book (Beauty Confidential) is about? 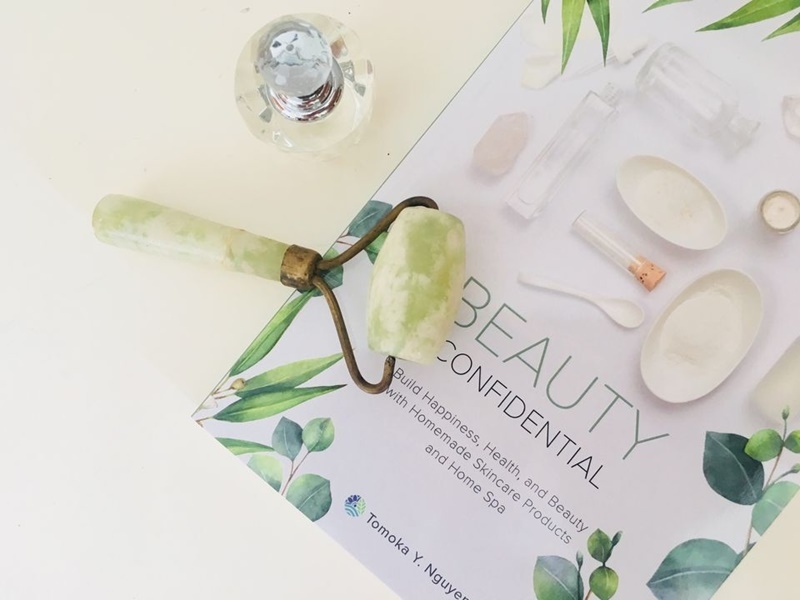 Beauty Confidential provides a peak behind the scenes of today’s beauty industry, touching on what big businesses won’t tell you about personal care products, while suggesting a number of simple, easy to implement remedies that lead to a healthier, more wholesome and beautiful life. 2. What motivated you to write the book? I have been in Spa & Wellness industry for over twenty years now. I realised that so much toxins go into our personal care products when I took a professional perfumery course at a University in Thailand, in 2010. I had two toddlers then (now my daughters are aged 10 and 12) so naturally I became more interested in safe, non-toxic personal care products. As such, I started learning, researching and experimenting in my kitchen. My personal experience with homemade skincare was far beyond expectation, and the benefits did not stop on the skin level. So this is really something I wish to share with as many people as possible. Also, by converting as many people from commercial products to homemade skincare, it helps to reduce toxins, as well as plastic wrappers and containers, which may end up in the ocean. 3. What advice would you give to someone who would like to start making their own skincare products at home? What are some key steps to getting started? Start with easy recipes because continuity is the key. It is perfectly ok to combine with your favourite commercial products to start with! Select two to three basic skincare products to start with such as a cleanser, make-up remover, massage oil, which are not only essential but also easy to formulate, use and maintain. Refrain from putting a deadline on achieving perfection. I recommend the Skin Reset Programme (details in my book or website, visit: https://jojomoka.net/lifestyle/skin-resetprogram/) to slowly introduce the idea of homemade skincare products. 4. Your book mentions your Japanese heritage and your time in Bali – how does your experience in these two places influence JOJOMOKA (chemical-free skincare line to be launched in 2019)? In 1997, when I started my career in the spa industry in Bali, we were blending herbs and spices by hand following their healing tradition and using them for massages and wraps. This definitely evoked my interest in natural ingredients. Wellness is a deeply rooted tradition in Japan as experienced in the Onsen culture. Wellness is affordable, accessible and for everyone (young, old, men and women). Hence my goal is spreading the idea of affordable and inclusive skincare. 5. What makes JOJOMOKA unique from other natural or organic beauty brands? JOJOMOKA Homemade Skincare (launching in 2019) will be a completely new concept of skincare. Our concept is ‘homemade’ – delivering hand-picked potent natural ingredients as well as reusable containers for the consumers to easily customise and formulate their own products. Our focus is the ingredients (just as chefs focus on ingredients) rather than packaging, but also a holistic approach to beauty. I believe skincare is deeply linked to the well-being of a person – physically, emotionally and spiritually. Along with recipes and formulation using those hand-picked ingredients, JOJOMOKA Homemade Skincare will share the knowledge of holistic beauty through home spa rituals and healthier and happier living. 6. What are the steps to your daily beauty regime? Shampoo* followed by hair mask*, leave it on. Gentle face scrub / mask*. Salt scrub* to cleanse, stimulate and hydrate the body. Rinse it all from head to toe. Apply natural face toner* on the face and hair oil* at the tip of hair. 7. What are some ways to create a relaxing home spa environment? Declutter: This is the first step to creating a home spa successfully and it will also have a profound effect on your well-being in general. In good spas, therapists are trained to be organised in their workstations, and to follow strict hygiene standards. Just as with a chef, the food preparation area has to be hygienic and well organised, which is the key to hassle-free cooking. Organising your cupboard and the areas you are planning to use for your home spa can also help you to spontaneously utilise your spare time. Dedicate space and time: Two main areas I’d suggest for your home spa are the kitchen and bathroom. The kitchen is a sacred space for therapists where all the products are formulated and sometimes stored. Allocate a small space or even a box where you keep everything you need for your spa treatments. Another area is your bathroom, which is like a treatment room. By hanging dried herbs such as Eucalyptus under the shower head can create soothing aromas and there are many ways to relax while waiting for your face mask to dry. Put aside your phones and gadgets, dedicate a certain amount of time for your home spa experience, preferably when your children will not be needing you. Home spa rituals are not just to care for the face, body and hair for beauty purposes but to also practice self-love! Do add your favourite candles, music and scent to enhance the mood. Thank you Ms. Tomoka Y. Nguyen for taking our interview! Young children are particularly susceptible to the harmful effects of chemicals that might be present in skincare products. Also, it’s been observed that girls are starting to apply cosmetics at a younger age then before. 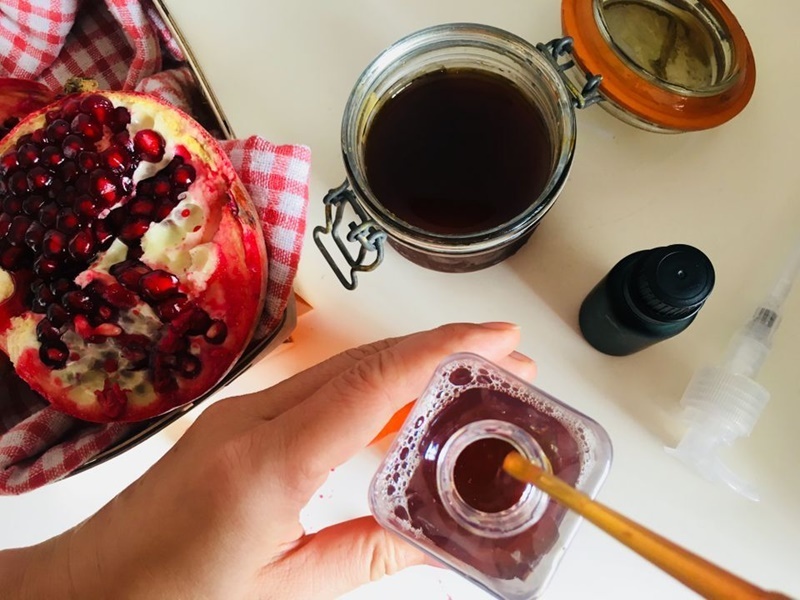 Tomoka has two young children and has been making her own skincare products for her family, for over 7 years and could also share a few recipes with your readers to kickstart their journey.